Mary Queen of Scots is one of the most celebrated figures in Scottish history. To coincide with the UK launch of a new film about her life, we explore her links to Edinburgh Castle. The Honours of Scotland are the crown, sceptre and sword that make up Scotland’s crown jewels. 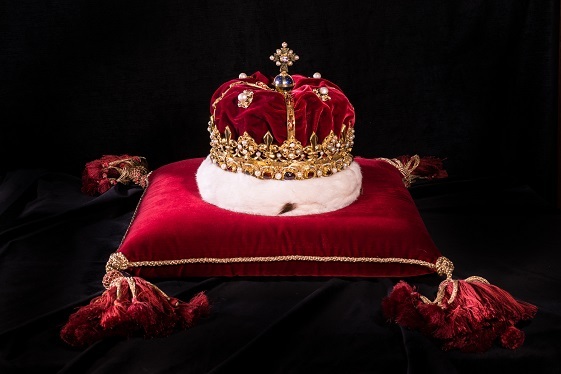 The crown was remodelled for James V for the coronation of Mary of Guise in 1540. The first time the enhanced crown, sword and sceptre were used to crown a new monarch was in 1543, when Mary was made Queen of Scotland aged just 9 months old. The Honours of Scotland can be seen during your visit to Edinburgh Castle. They are on display in the Crown Room, in the same secure vault built by Mary’s son, James VI to house the royal treasures. Mary knew how to put on a show – she hosted many grand affairs at court and carefully choreographed clothing, banquets and entertainment full of symbolism. On several occasions during her reign Edinburgh Castle was used as an iconic location at the heart of major royal events. On 2nd September 1561 the royal procession celebrating Mary’s grand return to Scotland began here. She left Holyroodhouse and slipped into the castle through a private entranceway. 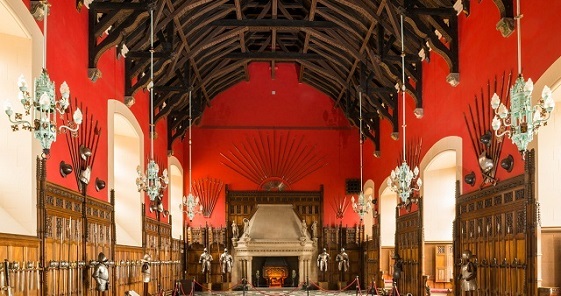 Mary dined with a select few at a state banquet in the Great Hall, before riding out to begin her formal grand entrance into Edinburgh, signalled by an impressive gun salute. 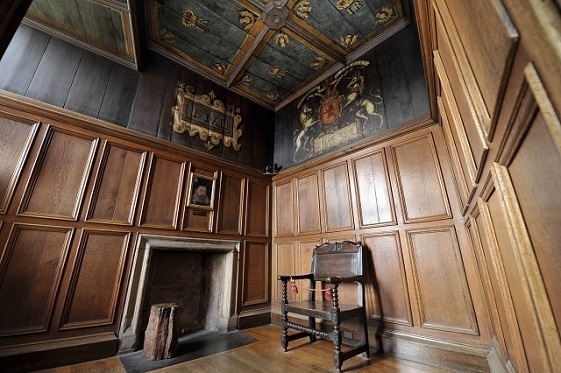 Mary’s most obvious connection to Edinburgh Castle is that she gave birth to the future King James VI here, on 19th June 1566. Shaken by the recent murder of her secretary Rizzio, Mary abandoned the comforts of Holyroodhouse for the security of Edinburgh Castle. When the time came, she moved to the tiny room, known as the birth chamber, where she gave birth. If you visit the castle today you can visit the birth room and Mary’s former bedchamber. A new exhibition in the Mary Room explores her legacy and the fate of her descendants. 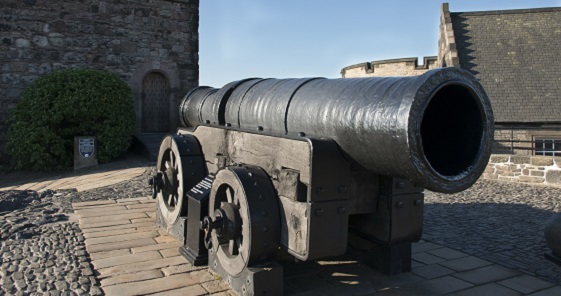 The great cannon Mons Meg was largely obsolete and only used for ceremonial occasions by the time of Mary Queen of Scots. She was fired on 24th September 1558 to celebrate the marriage of Mary to Francis, the French dauphin. It is said that a cannonball was fired almost 2 miles across the city and was recovered from Wardie Muir, close to the present day Botanical Gardens. By the 1570s Mary was in captivity in England, where she would spend the rest of her days. But her fate had not yet been decided. Her infant son, James VI was king but in reality the country was run by a faction of Protestant lords. As civil war broke out in Scotland, Sir William Kirkcaldy of Grange held the castle in support of Mary. The Lang Siege began in June 1571. Kirkcaldy, well-prepared and defiant to the end, held the castle for many months until April 1573 when an English army arrived with guns and mortars – including two great bombards. On 21 May 1573 the English opened fire on the castle and following two days of devastating bombardment, the Lang Siege came to a close. The upper part of David’s Tower came crashing down, the castle’s defences were shattered and their resources used up. Kirkcaldy was forced to surrender, marking the end of significant support for Mary in Scotland. 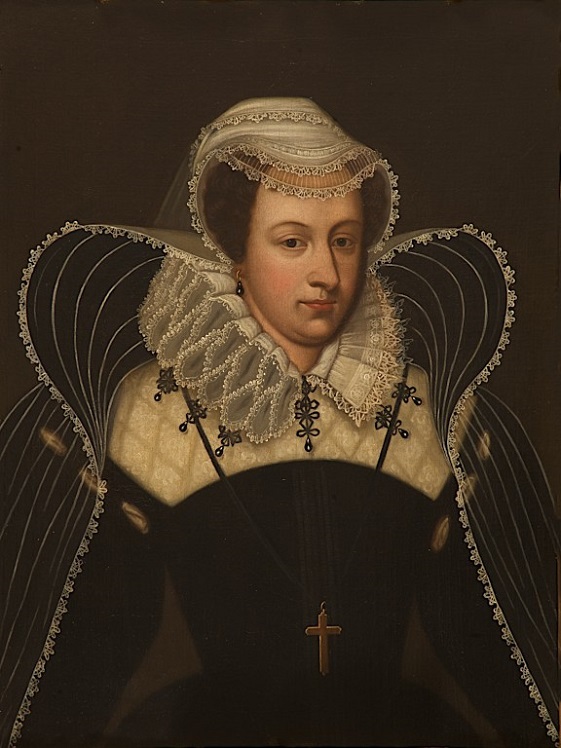 If after seeing the film you are longing for more #MaryQueenOfScots then take a look at our trail and follow in the footsteps of this famous lady at several of our properties across Scotland.